Italian agent Matteo Roggi has claimed the valuation of Chelsea, Liverpool and Tottenham Hotspur target Krzysztof Piatek could touch €100m. 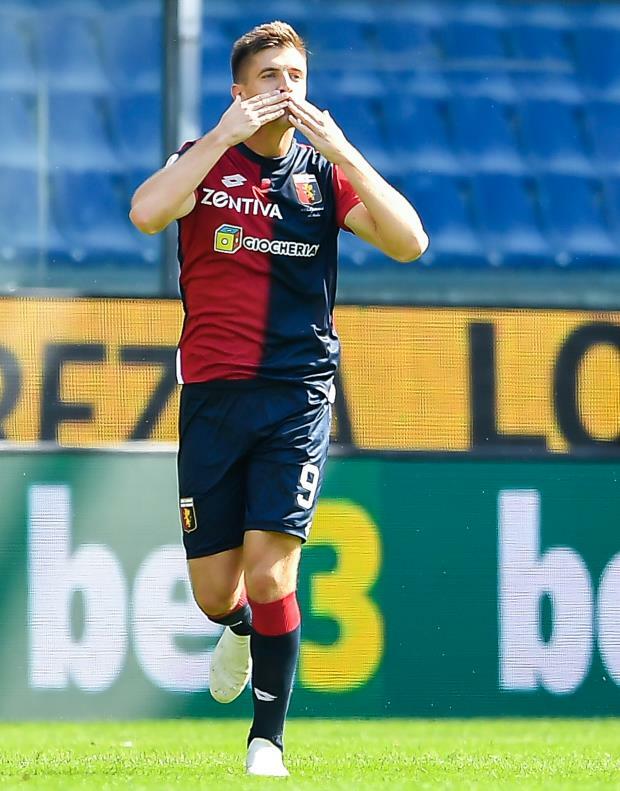 Genoa snapped up the Poland international for €4m in the summer and it has turned out be one of the best bits of transfer business done in Europe in recent years. The hitman has netted nine goals in seven Serie A appearances thus far and scored four in one Coppa Italia encounter, which has led to a lot of chatter surrounding his future. Big clubs such as Chelsea, Liverpool and Tottenham are tracking him and he has also emerged as a viable target for the bigwigs of Italian football such as Juventus, Roma and Napoli. Barcelona and Atletico Madrid are also keen. Roggi admits that Piatek’s current asking price would depend on which club want him but feels if he continues to score goals for Genoa, his valuation could soon touch €100m. He believes the Pole’s goals will be more valuable as he would have consistently hit the back of the net for a mid-table Italian club such as Genoa. Asked whether €50m is the right value for Piatek, agent Roggi told RMC Sport: “It depends on who asks. “For example, if it is [Manchester] City then €50m can be claimed and it could be €40m if it is one of the big Italian clubs. “But over time if Piatek continues at this rate he can be worth €100m. "If he scores 30 goals for Genoa then he could be sold at the same figure for which Juventus signed [Gonzalo] Higuain. “It is more difficult to score for a team in the mid-table than at the summit. Genoa have made it clear that they do not want to sell Piatek in January, but there could be an auction for his services in the summer if he continues his rich vein of form.